Back in October, I made my first purchase from Cryptocurium after months of ooh'ing and ahh'ing over The Order of the Thinned Veil stuff. The Gentleman Jackling is the newest addition to the Jackling family. Isn't he so dapper in his suit? I'm a dum-dum and forgot to take a shot of the back of the card so I'm going to type it out because you need to read about him. 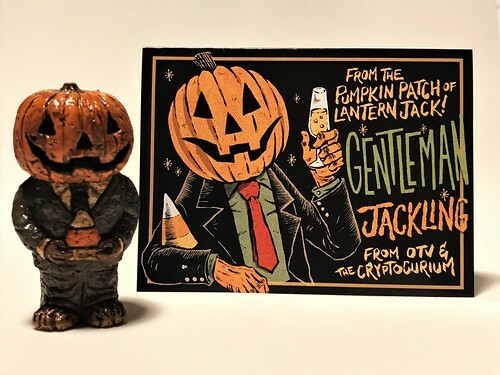 You'll notice on the front of the card it says "From the pumpkin patch of Lantern Jack." 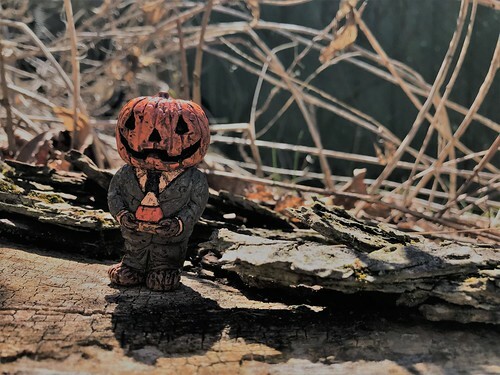 Who is Lantern Jack? If you head over to Cryptocurium's site you can see him in the $100 package level. I really like the lore on this guy, it sounds like a great setup for a camp fire story. 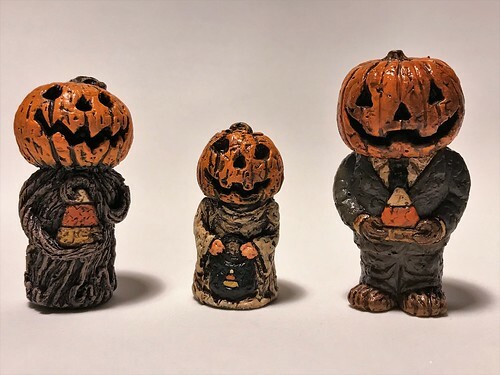 Below is the Gentleman Jackling along side the original Jackling and the Trick or Treater. He's just a bit taller, and beefier, than the Jackling. My one nit to pick with the figure is that his clothes are shiny. I checked the other two figures and while they also have a shiny finish, it's not as noticeable from a distance. Maybe it's just that he has more flat surface to reflect. But like I said, this is a very minor thing and I'm happy to add him to my Jackling family. These guys are always done in a limited run so if you want to bring one home, keep an eye on Crytptocurium's Etsy, Facebook, and Instagram pages. 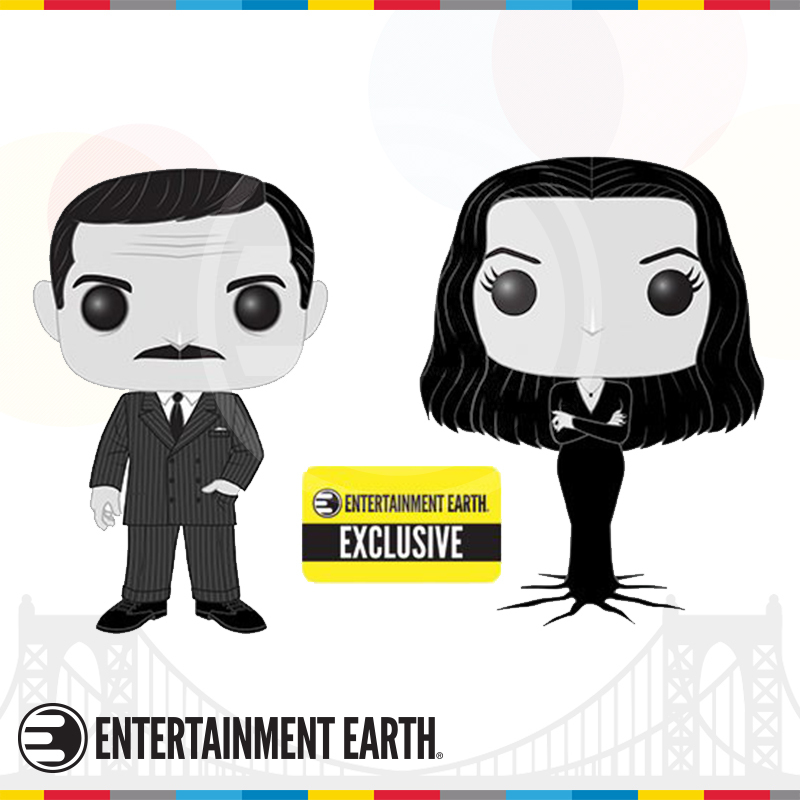 They also put out some great stuff if you're a horror and/or Cthulhu fan. 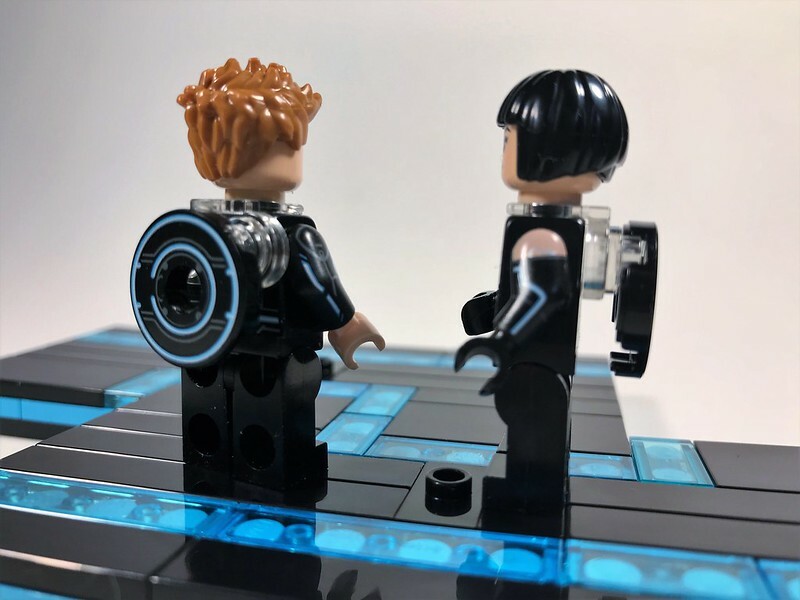 When I started seeing pics of a Tron Legacy LEGO set a couple weeks ago, I just presumed it was another great looking fan creation. 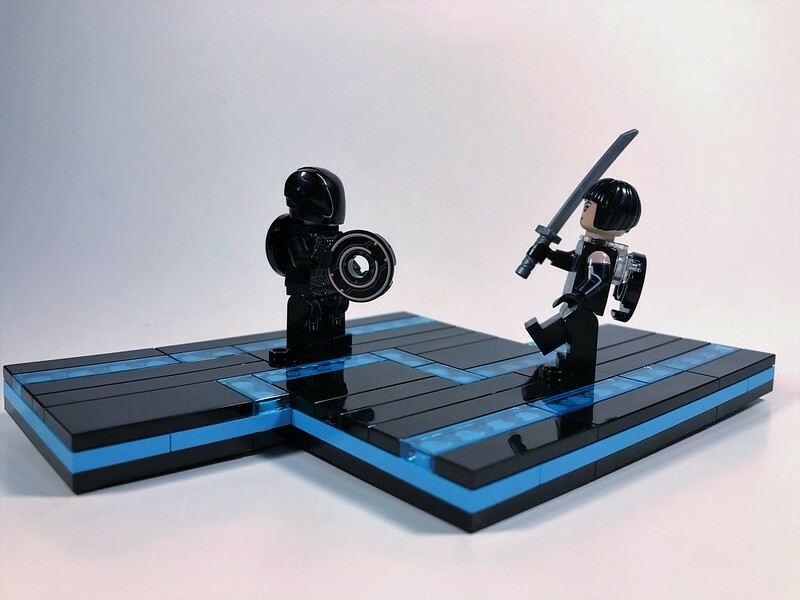 Thanks to LEGO Ideas and 10,000 other awesome people, the set is now a reality! Here's a Making Of video for the set. 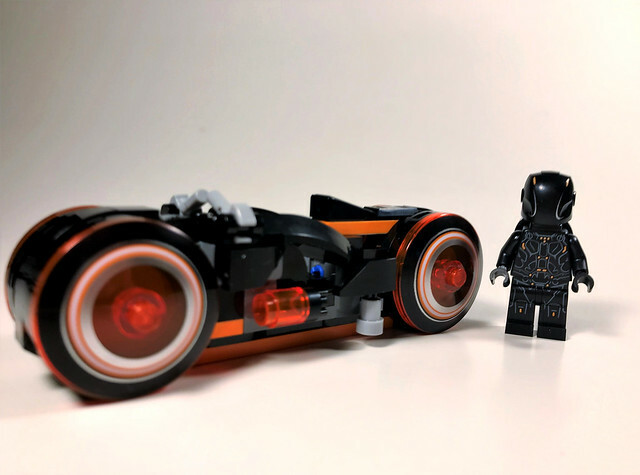 The set comes with two lightcycles, three minifigs, and a cool piece of the grid. 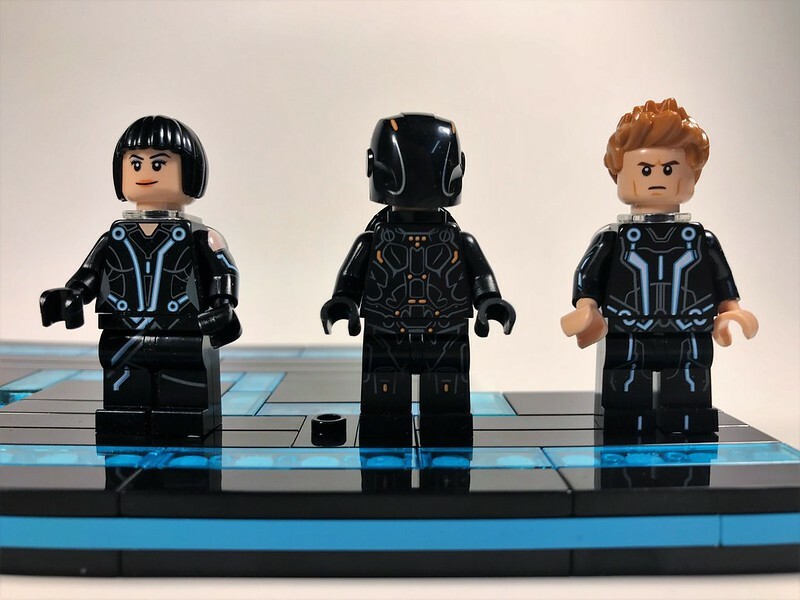 Here are our minifigs: Quorra, Rinzler, and Sam Flynn. Quorra and Sam both have two facial expressions you can choose to display, one happy and one a little more serious. 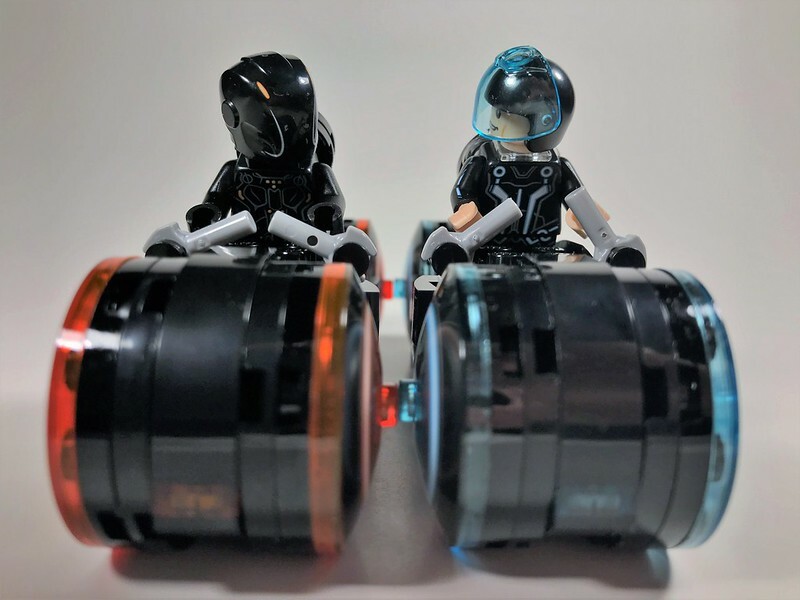 Rinzler has a neutral human face under his helmet which gives you another option for Sam. They did an outstanding job on capturing the costume details. They also did something pretty neat for the identity discs. They come with clear plastic 'backpacks" that the discs attach to so they can actually wear them on their backs. Quorra also has a katana accessory. 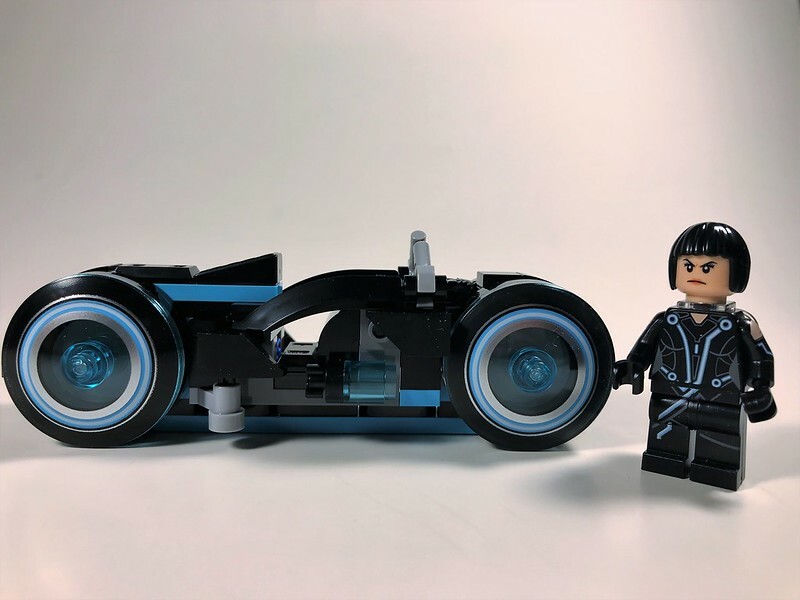 Here she is next to the blue lightcycle with her serious/grumpy face. The lightcycles builds are exactly the same, just with different coloring. As they mentioned in the video, the wheels do actually move on them which is a great feature for play. 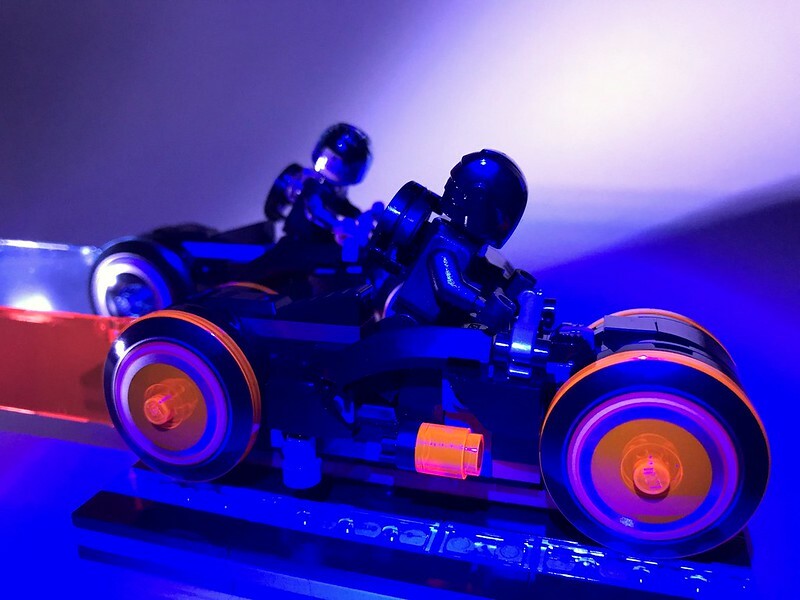 Each lightcycle has a translucent light trail piece that clips to the back of it as well! All in all, I'm thrilled with this set. The only thing I think it's missing is a Kevin Flynn minifig but I bet I can customize one fairly easy, maybe from some Ninjago minifigs. I know they have robes and beards. 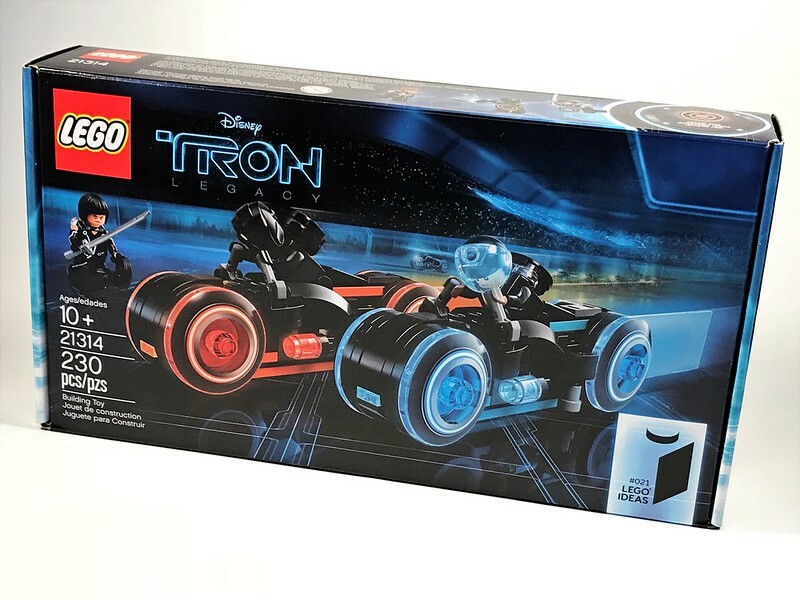 Now if they could just get me a classic Tron LEGO set! 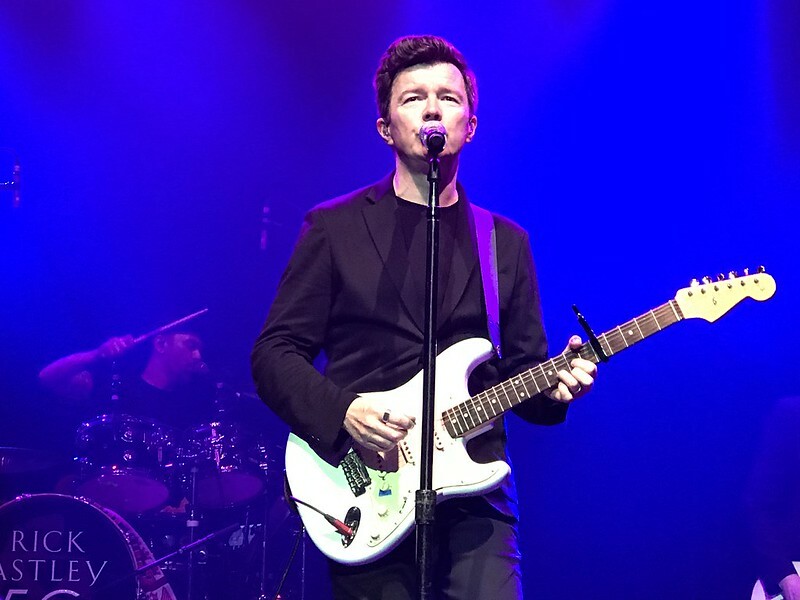 I went to see Mr. Astley this past Sunday night at the House of Blues in Boston. I saw him last February when Mrs Dex needed someone to go to the show with her. Even though I didn't know most of the songs, I liked them and enjoyed the show because Rick puts on a great show. It's not a huge production, but he's got such a great stage presence you can't help but have a good time. When he came back around, I was looking forward to going. We got there early and were much closer to the stage for this show. 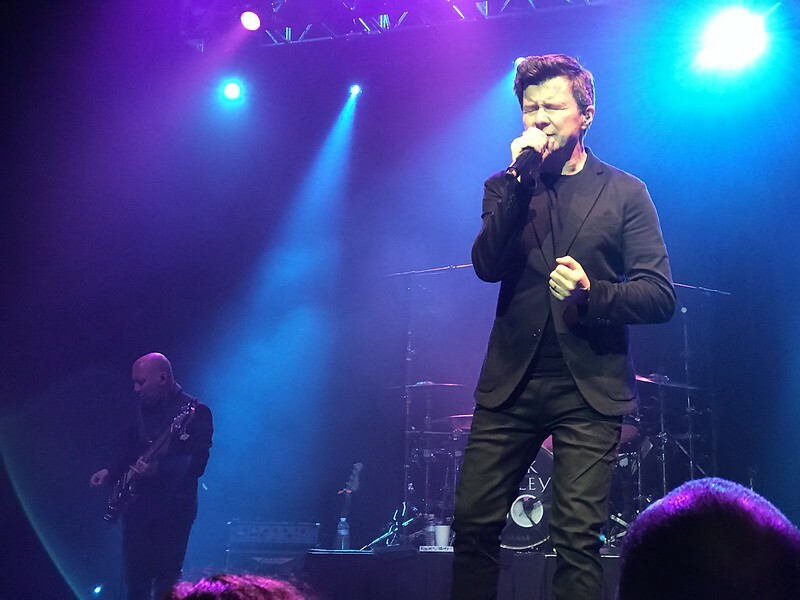 Of course, he did the hits, some new songs, and some older ones. He even covered Ed Sheeran's "Shape of You." Last year's show was the final one of that tour and things got a bit crazy when they went into an insane cover song medley. He mentioned that because they were just getting this tour started, he was going to reign it in and stick to the set list. He, and the band, did a shot to toast that show. And they closed the show out with Rick playing drums and covering AC/DC's "Highway to Hell!" What? 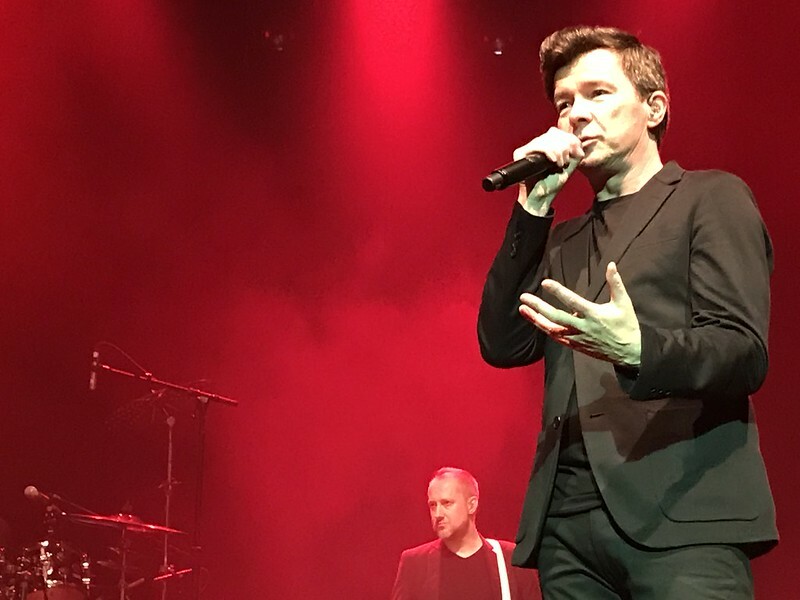 You didn't think you were going to read a Rick Astley post and not get Rickrolled? But seriously, they did close out with "Highway to Hell." If you haven't check out anything from his latest album, I highly recommend "This Old House." While everyone was watching Wrestlemania last night, I took a quick vacation back to a place I used to go when I was younger. A place a haven't been to in at least 20 years. A place called Fireball Island! Only this wasn't the Fireball Island I remembered from my youth. Like any place you haven't seen in awhile, it's changed, but definitely for the better! 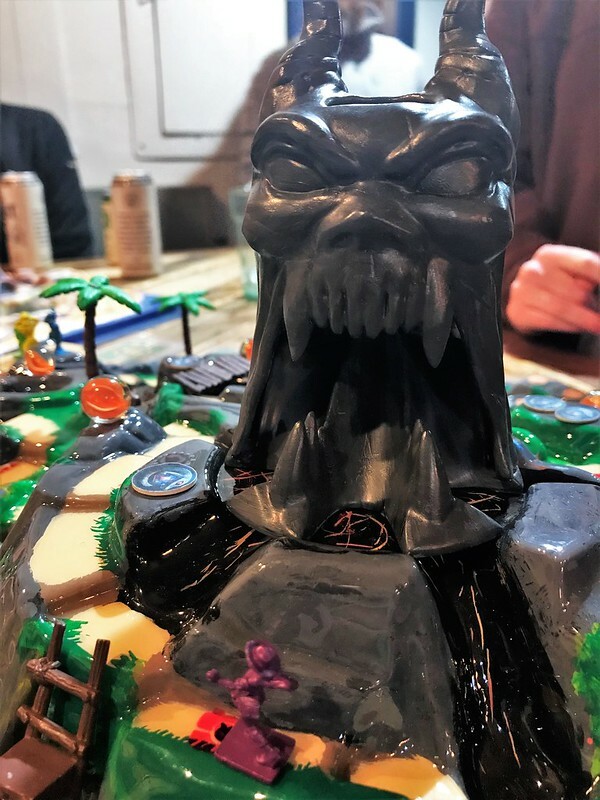 Restoration Games is bringing back Fireball Island and is totally crushing their Kickstarter campaign which just shows the love that is out there for this classic Milton Bradley game. 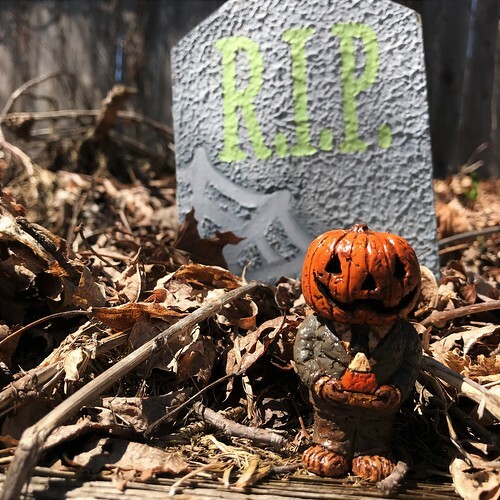 Thanks to Flip Florey's Super Saturday Board Game Serial podcast I found out about the Kickstarter a few days before it launched. It had somehow flown under my radar prior to that and now that it's launched I've seen plenty of my fellow geeky bloggers talking about it. The Kickstarter page has a list of tour dates where they will be demo'ing the game around North America. Since PAX East was this weekend, the first non-con stop on the tour was right in my backyard at The Castle, a boardgame cafe. I got to meet JR Honeycutt, the Restoration Games member who has the job of driving around for the next few weeks bringing the only-one-in-existence prototype to the masses. I wasn't able to get a good shot from the "front" of the game but you can get an idea of the size here. The original Fireball Island board is up at the top. The new version is much more dynamic, using three connecting trays to make up the board and give it more height. JR assured us that the finished product will have a matte finish and not be handpainted. I still think it looks pretty great! The game has a lot more going on than the original version. There's trees that can be moved to block marbles, treasure to be collected, and scenic vista spots on each of the three island sections that you have to visit to snap a memorable photo for big points. And yes, the Heart of Vul-Kar is still there for anyone brave enough to grab it! Because it just wouldn't be Fireball Island without Vul-Kar! 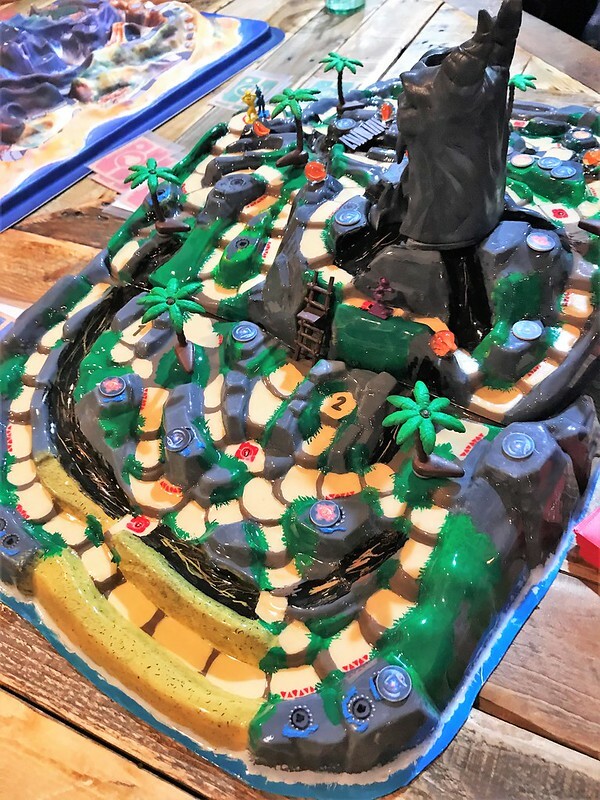 I had a ton of fun checking out the new Fireball Island. I really enjoyed all the new stuff that's been packed into it while keeping the basic play the same as the game I remember. If you're not familiar with the original game, you may be stuck experiencing it through YouTube videos as it's quite the pricey game to get your hands on now. If you want to pick up the new version, along with any of the expansions (that's right, expansions! 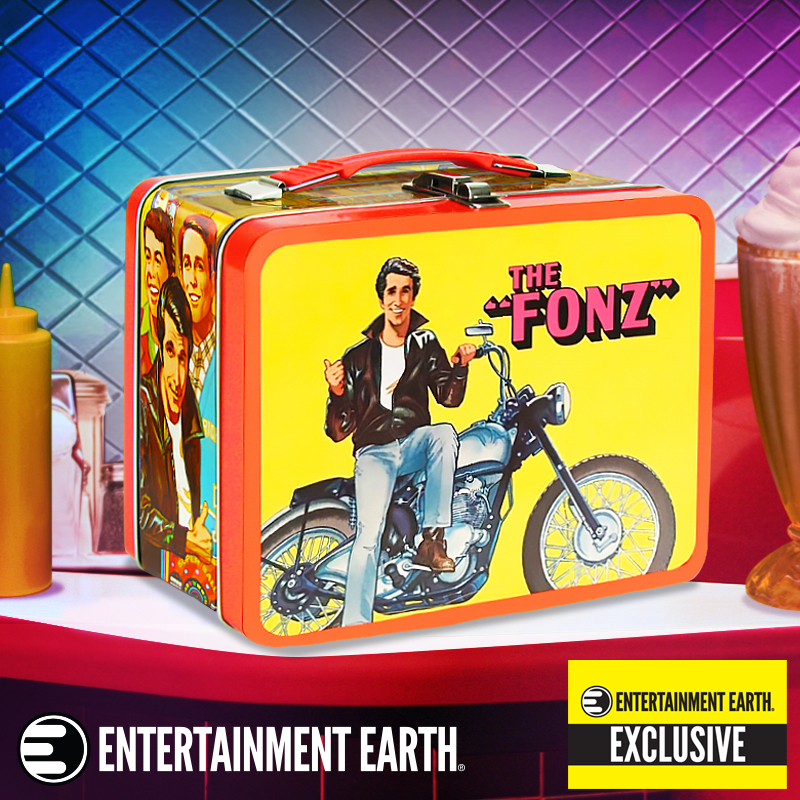 ), head over the to the Kickstarter page. They're already five times over their goal! I can't believe we are just a few weeks away from Avengers: Infinity War and kicking off what looks to be a great summer for movies. What are you looking forward to? As video game movies go this is pretty good, but that's not a high bar to leap. It's a decent enough action movie but it feels so much a product of its time from the soundtrack to the Matrix-y stunt fighting. I have to say though, Jolie pretty much is Lara Croft. Play Again? I rewatched this because I hadn't seen it since it came out and was thinking about finally seeing the sequel. Watching the trailer for Cradle of Life totally changed my mind. I'm really starting to get an appreciation for foreign horror flicks, even ones you have to read. Mainly because they don't reuse the same tropes you encounter in US horror every day which makes for a very fun ride as you can't really predict where things will go. I was expecting just another Ouija movie but this one surpasses the standard giving great character moments with the lead. Over Hyped? I've seen some rumors that it's so scary people can't finish watching it. I really like the movie but I don't think it's that scary but it's probably on the level of "turn on all the lights on your way through the house" after watching it. I had a lot of fun with this one. I've seen it described as Scream meets Groundhog Day and that's a pretty good way to sum it up. The theory of who the killer is starts to get odd as it plays out and the final showdown goes a little over the top but this is a horror movie stuck in a time loop so I think it's allowed to get a bit crazy. One More Time! There's talk of a possible sequel that could explore why the time loop happened. I'd be interested to see how they could blend the horror and sci-fi together. Definitely an odd ball horror flick. I knew nothing about it going in and I think that's the best way to experience it. It doesn't really get rolling until the final 30 minutes but once it gets going, it's full speed ahead! Seeing this one actually improved how I felt about the first one and gave me more of an appreciation for the main actor's (Mark Duplass) performance in both. Because both are essentially two person plays, his crazy has to be on point to draw you in to what's going on and make you worry for the camera operator. If you loved the book and are expecting them to cram exactly all that into a two hour movie, you're going to be disappointed. But if you don't mind them changing just about everything and keeping the spirit of the story, you'll be okay. If you haven't read the book but like video games and 80s pop culture, go see it then read the book. Either way, see it on the biggest screen possible! Pop Goes the Culture: I can only hope we'll get a Pop-Up Video style DVD commentary that will point out everything. As much as I did notice, I know there were things I missed.